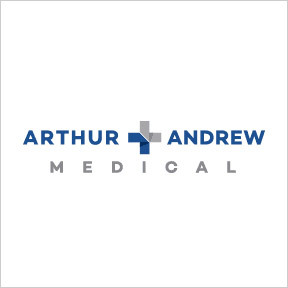 For over a decade, Arthur Andrew Medical has provided highly effective, scientifically-based, and clinically proven practitioner grade products that positively impact overall good health and wellness. With the goal of unlocking one’s heath potential, Arthur Andrew Medical focuses on scientific research to verify product efficacy and safety, and ensures that their formulas are developed and manufactured with the utmost integrity. In addition to following Good Manufacturing Practices, which includes testing for identity, contaminants, potency and other quality control aspects, their formulas are independently verified to be free of GMO ingredients, common allergens, and unnecessary binders, fillers, excipients and processing agents. Arthur Andrew Medical follows truth in labeling guidelines, and offers guaranteed potency standards. Clinical research and ingredient safety testing ensures delivery of effective products formulated for real clinical results. Neprinol AFD™: This proprietary and revolutionary blend of systemic enzymes, cofactors, and magnesium is specially formulated to support healthy circulatory and immune function. Systemic enzymes target the bloodstream to help eliminate pro-inflammatory proteins. Pharmaceutical grade Neprinol is formulated to support optimal circulatory health and blood viscosity, as well as healthy fibrin levels. Gluten, dairy, soy, preservative and artificial ingredient free, Non-GMO vegetarian, kosher formulation. Syntol AMD™: Syntol provides 13.6 billion CFU’s of various non-competing strains of probiotic bacteria as well as a prebiotic oligosaccharide in support of normal digestive permeability, healthy immune function, stabilized bowel function, and optimal nutrient absorption. Syntol contains a blend of spore forming bacteria increasing the chances of proper colonization in the process of intestinal balance restoration. Gluten, soy, dairy and artificial ingredient free, Non-GMO vegetarian, kosher formulation. FibroVera™: Specifically formulated to promote normal fibrin activity, FibroVera™ provides a gentle option for correcting and maintaining healthy hormone levels. An all-natural blend of hormone-balancing botanicals, fibrin-eating enzymes, and cofactors, FibroVera™ is intended to support uterine and breast health, regulate the hormonal response, and restore women’s natural processes using well-researched, clinically supported ingredients. Gluten, soy and dairy free, Non-GMO, vegetarian formulation. Aminolase TPA™: Designed to maximize the performance benefits of whey, pea, soy, and hemp protein supplementation, Aminolase aids protein synthesis to allow the body to better absorb and utilize beneficial protein for muscle building, strength, and recovery without digestive stress. Gluten, soy, dairy free and artificial ingredient free, Non-GMO vegetarian, kosher formulation. This entry was posted in Home and tagged Aminolase TPA, Arthur Andrew Medical, Arthur Andrew Medical – Featured Brand, FibroVera, Neprinol AFD, Syntol AMD. Bookmark the permalink.